Capture your little guests’ attention with these fun and easy-to-prepare kids birthday party food ideas! If you’re looking for easy and scrumptious recipes, these kids birthday party food ideas will not only please the kids but will also impress your adult guests. 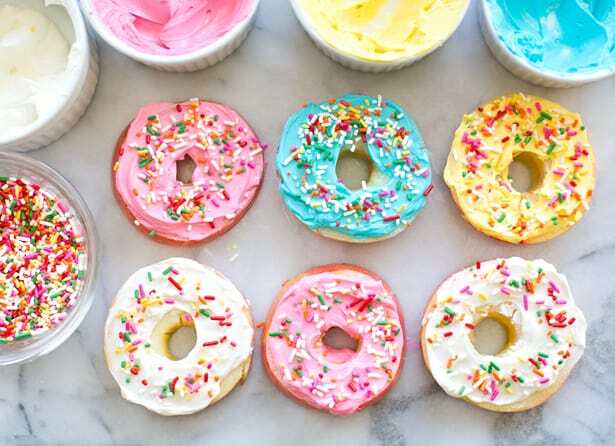 You have a lifesaver in this roundup of kids party food, from savory appetizers and hearty snacks to cool drinks and fun desserts! Kids Birthday Party Food Ideas To Save The Big Day! 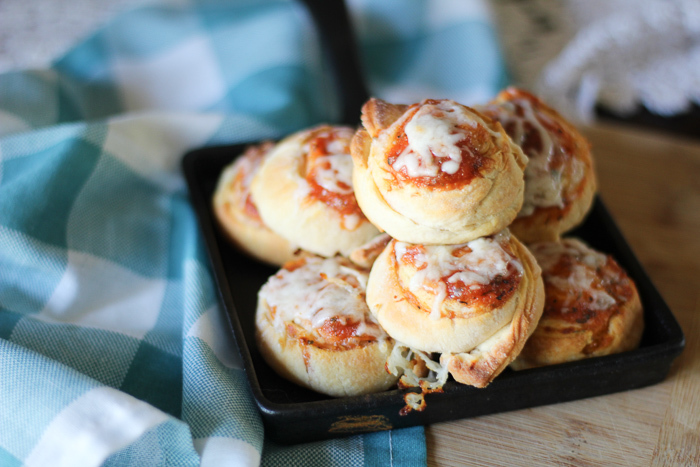 Kids love pizza, which is why we’re sure they will love these pizza pinwheels smothered in melted cheese. You only need to roll the pizza, cut into bite-size pieces, bake, and enjoy. They make great appetizers and go really well with mac and cheese or homemade pasta. 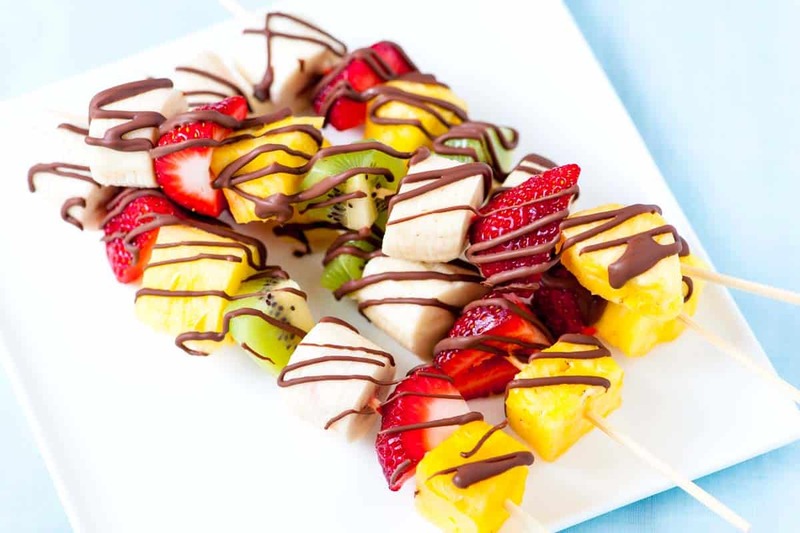 What you need are bananas, strawberries, kiwi, and pineapples to make these frozen fruit kabobs. You may also use other fruits like melon, apples, and watermelon–it’s your choice. Serve these skewered treats at a birthday party and show the little ones how eating healthy can be fun! It doesn’t matter how these silly apple bites look like Halloween treats because the kids love it that way! 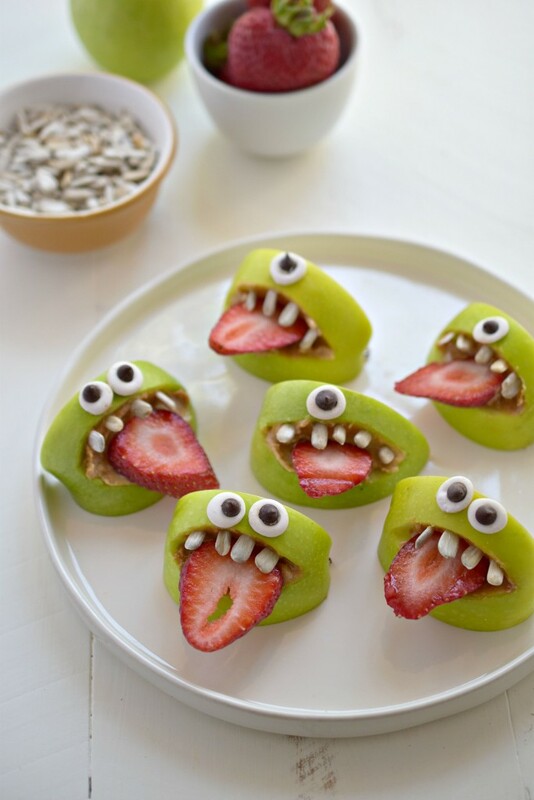 All you need are apples for the mouth, strawberries for the tongue, sunflower seeds for the crooked teeth, and homemade googly eyes to make it more realistic. Tip: To prevent apple slices from browning, dip them first in lemon juice or in salt water. This Lil’ Luna’s recipe gives us an idea of how to serve corn dogs at a birthday party in a very convenient and easy way. 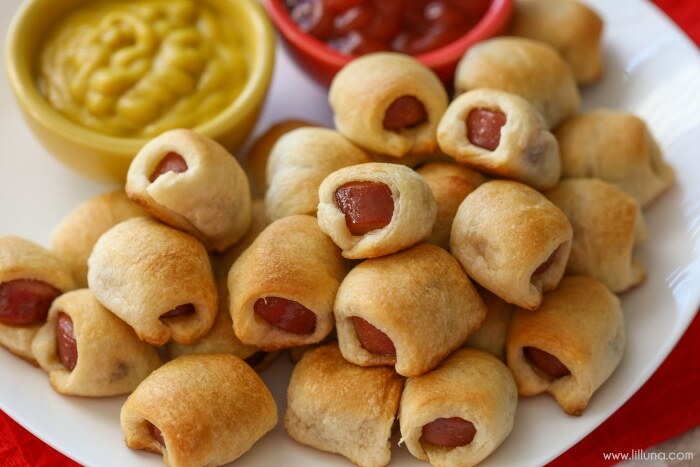 To make these tasty little nuggets, all you have to do is wrap bite-sized hotdogs with ready-made dough. Bake them for about 9 minutes and these babies are good to go. There’s one way to keep the kids entertained at a birthday party—let them design their own dessert. Make sure you prepare cored and sliced apples, cream cheese (with or without food coloring), and sprinkles. You can let the kids have a go at decorating their apple fruit donuts. Use edible sprinkle bowls to serve ice cream to your guests! If you’re serving a small crowd at the party, you can prepare these bowls without breaking a sweat. You will have fun making this recipe with your kids. Aside from balls and balloons, kids love everything colorful. 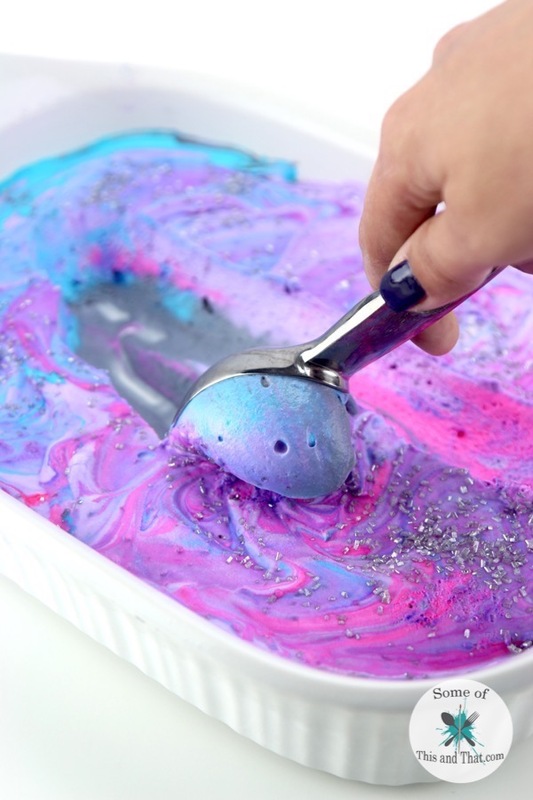 If you’re planning for a unicorn-themed party, this homemade galaxy ice cream is a great way to impress. You only need ice cream, whipped cream, and food coloring for the whimsical galaxy effect. Drinks are one of the most awaited treats the kids look forward to at a birthday party. 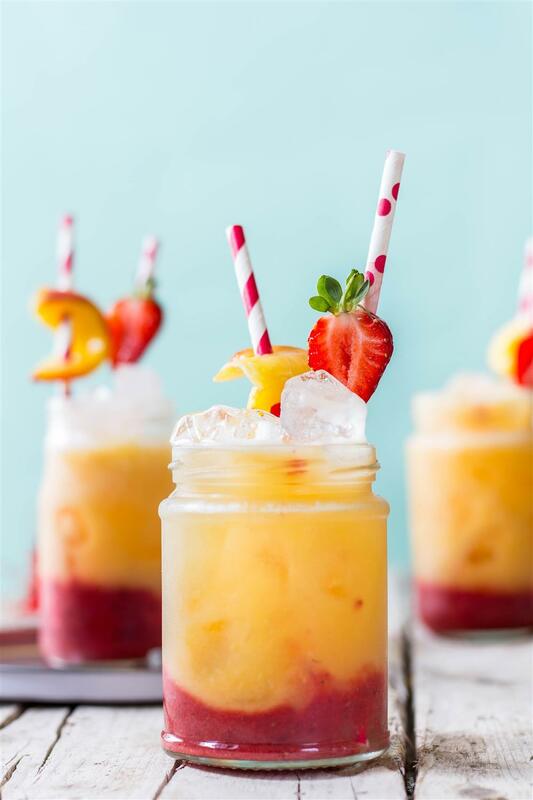 The trick is to make the drink unique and tasty at the same time. The more bizarre it looks, the stronger the kid’s desire to dive in. You will need bug ice cubes to pull this recipe off. Use any fruit juice and fruit slices to make it more entertaining. You don’t need a lot of ingredients to make this delightful dessert. All you need are Wilton Blue Candy Melts, sweetened condensed milk, mini Oreos, and chocolate chip cookies. 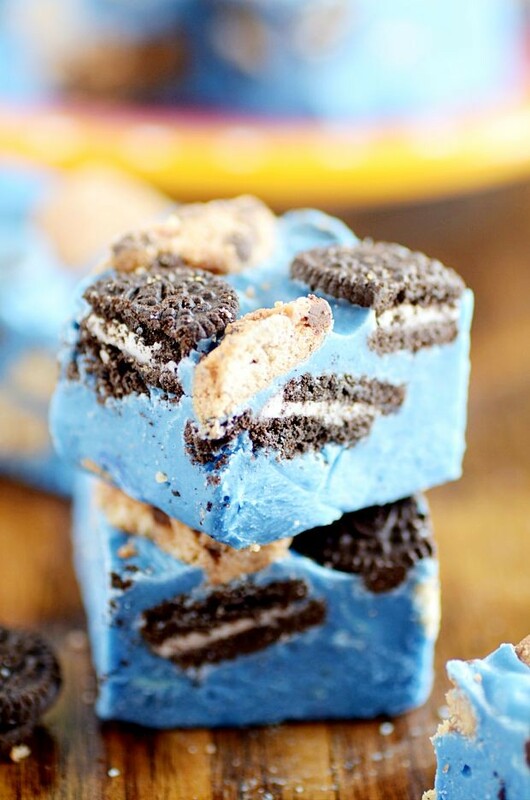 Cook the candy melts and condensed milk over low heat, add the cookies then pour the fudge into the baking dish, let it cool for 3-4 hours and these Cookie Monster fudge is ready for the crowd! 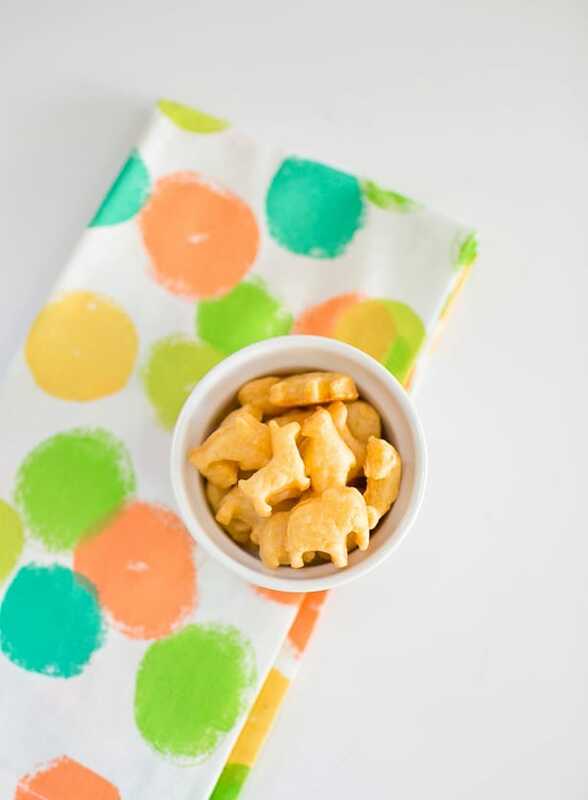 Kids can be animal lovers at times and these homemade cheese animal crackers might be the best birthday party food idea to add to your list. This recipe is so easy you probably have everything you need in your pantry including the animal cookie cutters. Isn’t the look of this sloppy cheezy burger mouthwatering enough? They are exactly what we need to feed a hungry crowd! In this special recipe, a 9 by 13 baking pan can yield 12 burgers. Make two or even three batches of these delicious burgers. Don’t worry, this recipe will leave you with no leftovers! 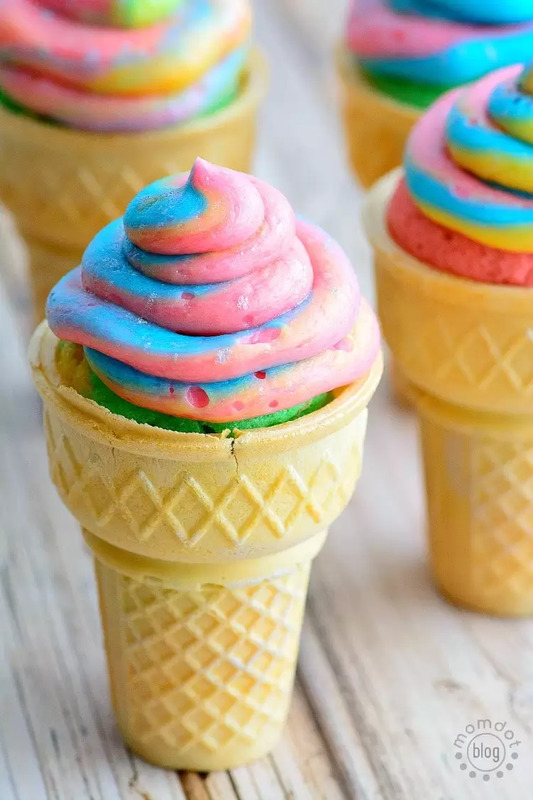 As we’ve mentioned earlier, kids love colorful treats, so these unicorn cupcake cones will be a big hit at your party along with the homemade galaxy ice cream included on this list. It’s a little bit time-consuming but worth it to see kids enjoying their treats. 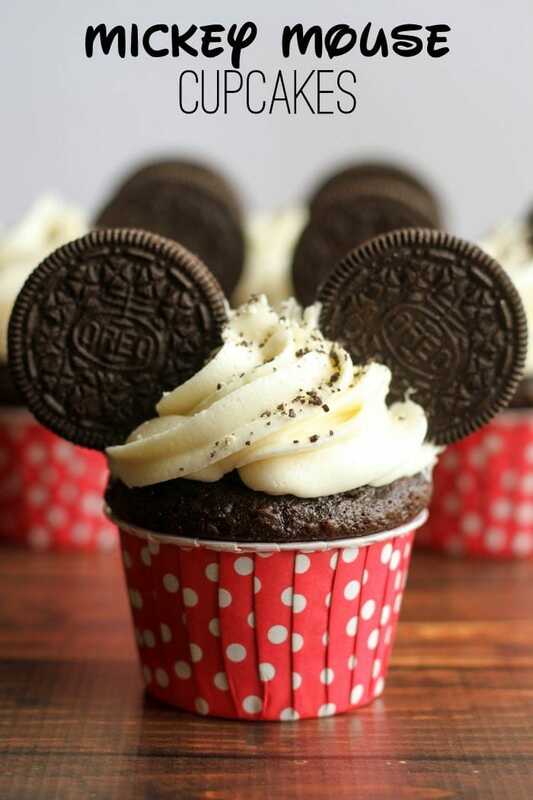 It’s not impossible for children of all ages to adore Mickey Mouse which is why these Mickey Mouse cupcakes need a spot at your next kiddie party. Make sure to have fresh milk on hand as some kids might ask you for a glass! 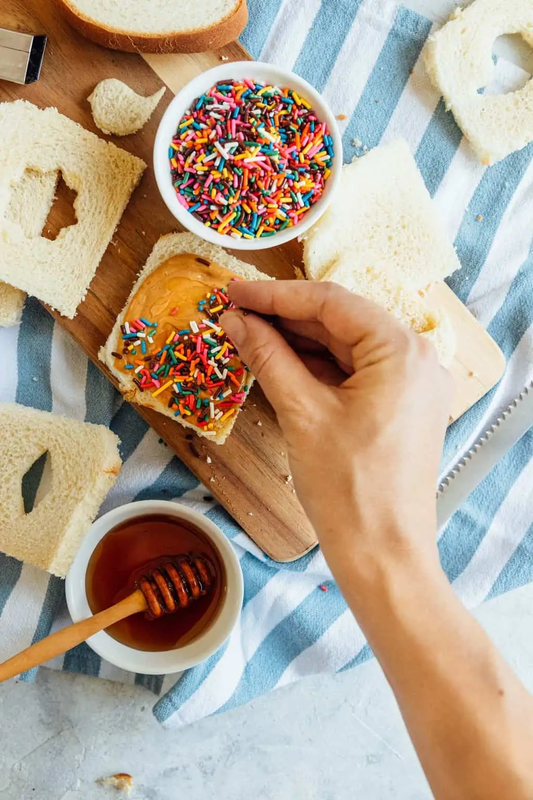 If you want to make a quick but aesthetically pleasing finger food for the party, you might want to try this fairy bread idea. Use a generous amount of peanut butter or Nutella for the spread to make the sandwiches tastier. Do you want to whip up a hassle-free appetizer for the party? 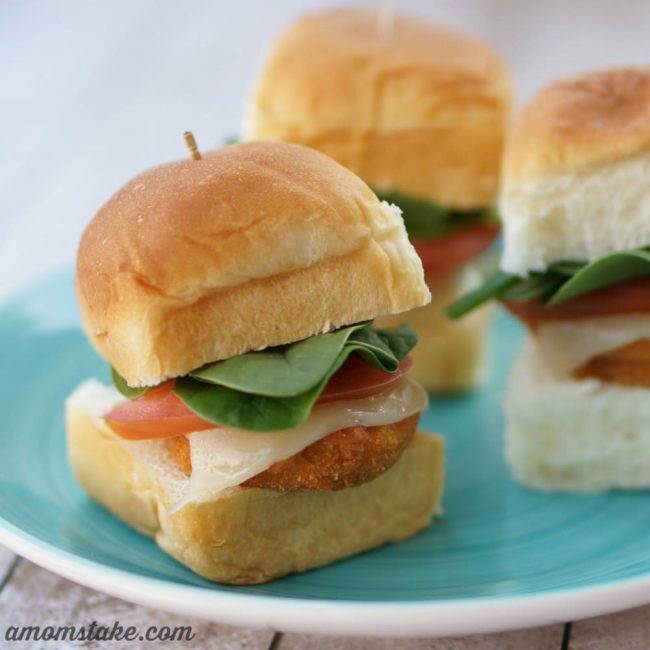 Make some chicken nugget sliders, the way Aubrey from A Mom’s Take suggests. You only need to heat up the ready-made chicken nuggets and arrange the condiments on the buns. Easy peasy! 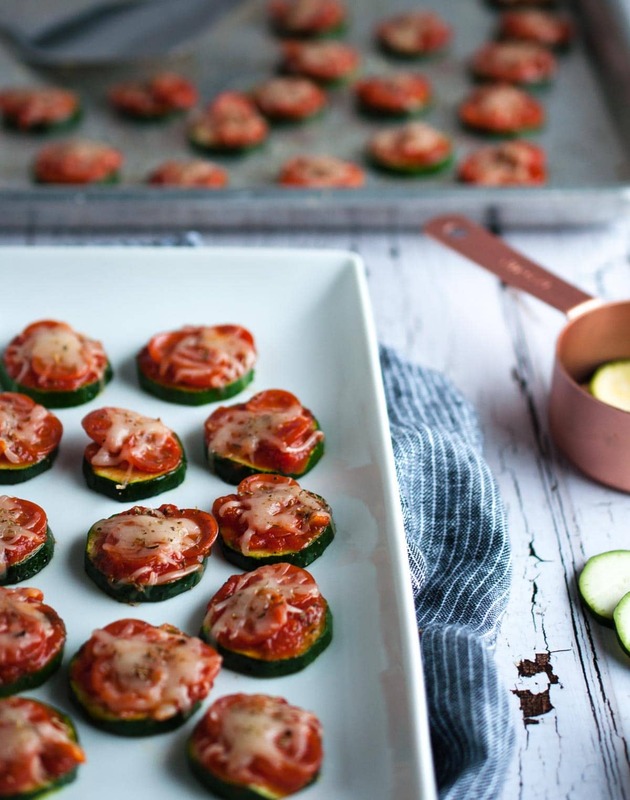 You must try this zucchini pizza bites recipe by Feasting Not Fasting. Serving this at a party as light appetizers might teach kids to like vegetables even more. All the scrumptious toppings on top do a good job of hiding the zucchini underneath. 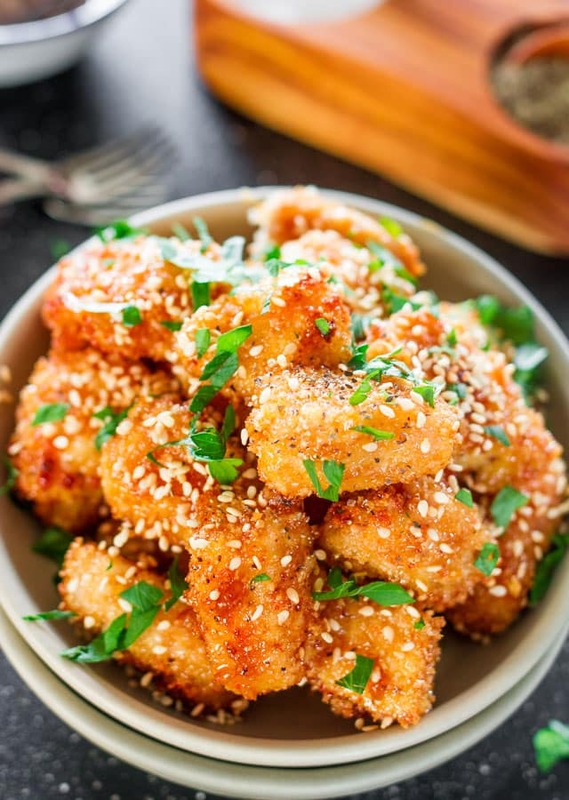 This lip-smacking baked honey garlic chicken dish is a delicious finger food to add to your menu. It’s not the most convenient food to serve at a kids’ party but it is so good, it’s worth the mess. It isn’t a secret kids are all over Avengers these days. Having these Thor’s Hammer cupcakes in the feast table will certainly get some oohs and aahs from Avenger fans. You only need homemade cupcakes, marshmallow, pretzels, and edible silver glitter. You’ll love this super quick and easy recipe and so the kids and kids-at-heart at your party. 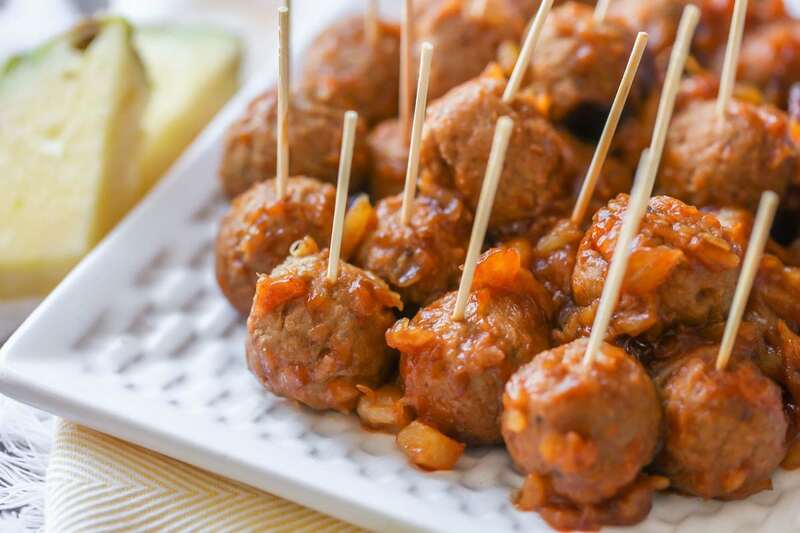 Gather frozen meatballs, crushed pineapples, and barbecue sauce and they’ll love treats on a stick even more! 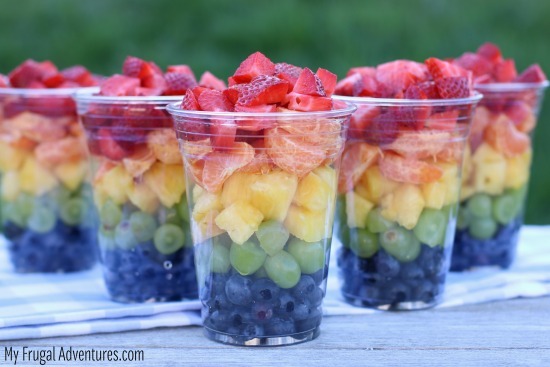 Not only these rainbow fruit cups look so pretty, they are also so healthy and refreshing. Something we want to serve our kids as often as we can. Let their eyes pop to these fruit-filled treats. A dollop of whipped cream and some sprinkles can make it more festive. 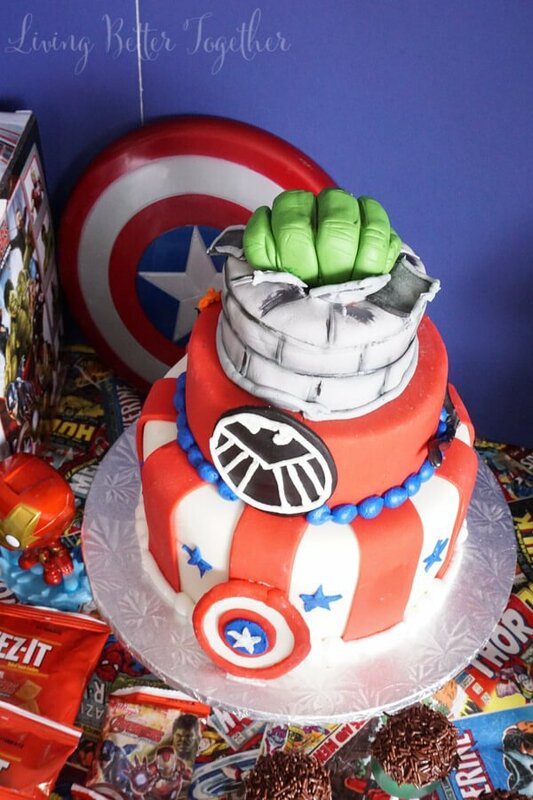 You will find different Avengers kids birthday party food ideas here but it’s the easy Hulk pops we are in love with. There are a lot of amazing ideas you can do with marshmallows plus your imagination! Mac and cheese are undeniably a kid’s favorite but just any mac and cheese won’t do for a special event. What we have here are extra special mac and cheese your little guests won’t skip at the table. These are mini mac and cheese bites perfect for their little hands to grab and enjoy. For kids and kids-at-heart, this drink recipe is something they can enjoy. For moms and dads who prefer non-alcoholic drinks and for kids who like to be grownup-ish, this drink couldn’t be any more perfect. Serve in small glasses or party cups for your small guests. 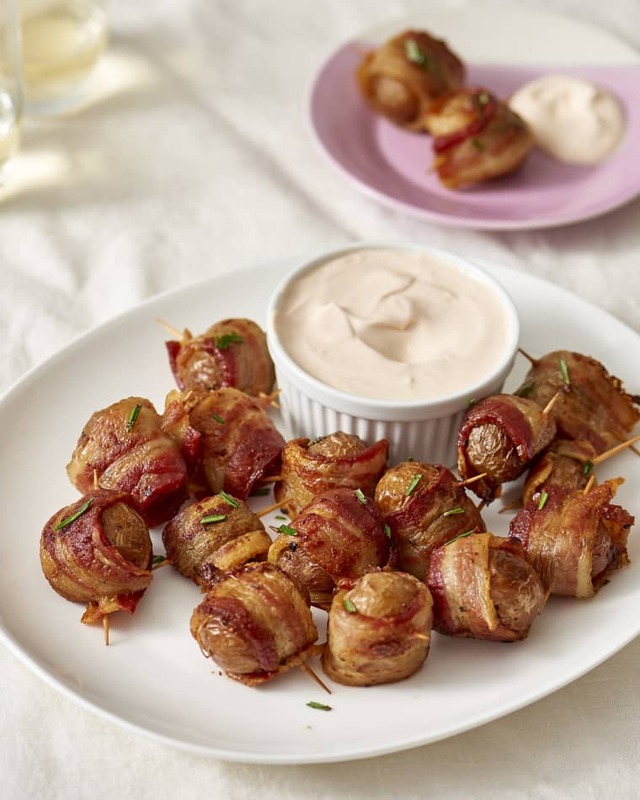 These tasty bacon-wrapped potato bites can serve as either main dish or appetizers. You will be sticking sticks to wrap up baby potatoes in bacon strips. It’s a good idea to use skewer sticks instead of toothpicks just to be safe. This dinosaur deviled egg is one of the most creative birthday party menu ideas we’ve come across online. It can be a crowd favorite, especially for your curious little ones. It’s a classic deviled eggs recipe with a twist. You crack it up without peeling them yet then soak them in a colored water overnight and the result is an egg-cellent party food the kids will love. The list above is the secret to coming up with excellent kids birthday party food ideas. Simply unleash the child in you! Experiment on colors, try new things, decorate with sparkles, and think of fun and yummy treats. Allow yourself to have fun (to keep the creative juices flowing) and don’t forget to include your kid in the process! Which among these kids birthday party food ideas do you like best? Share your thoughts with us and write a comment! Editor’s Note – This post was originally published in September 2017 and has been updated for quality and relevancy.